Sir Henry Rider Haggard wrote many great works, and this is an underappreciated treasure, a beautifully written, exciting, and moving tale of adventure, love, sacrifice and a lost civilization in Africa. Written in the late 1800's. 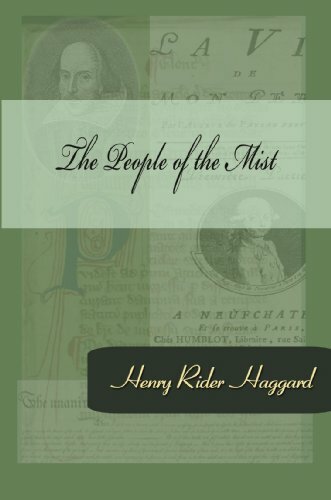 by Henry Rider Haggard - Longmans, Green, and Co. This is a wonderfully compelling story about three Englishmen, an aging University professor, his adventurous young ward, and their faithful servant, traveling into the unknown African interior in search of a mythical source of immortality.